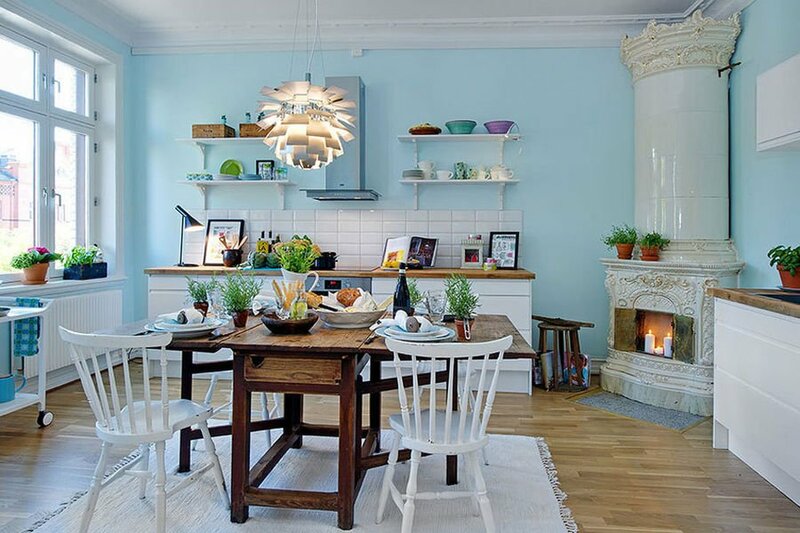 The Scandinavian dining table: some tips on how to chose and about decoration! 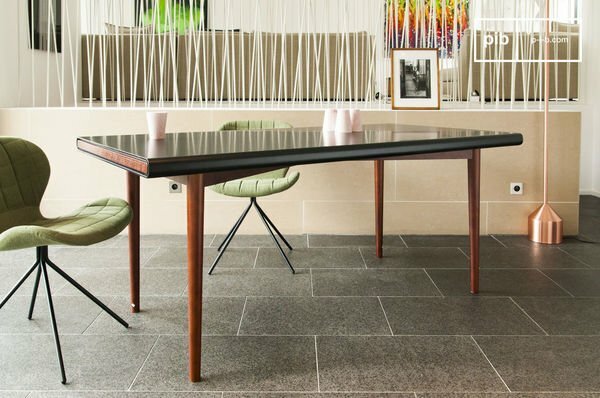 Why choose a Scandinavian dining table? 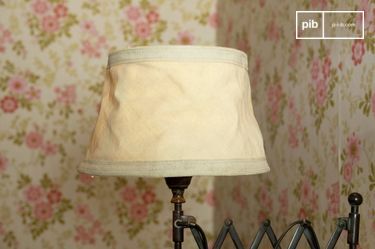 Contemporary elegance is defined by three main styles: Scandinavian, Shabby Chic and Industrial. And in this article, we are going to do a quick review of Scandinavian dining tables. Why choosing a Scandinavian dining table? Tables are fundamental in our everyday life. Who doesn't have a table at their home, office, bedroom and even -sometimes- bathroom? 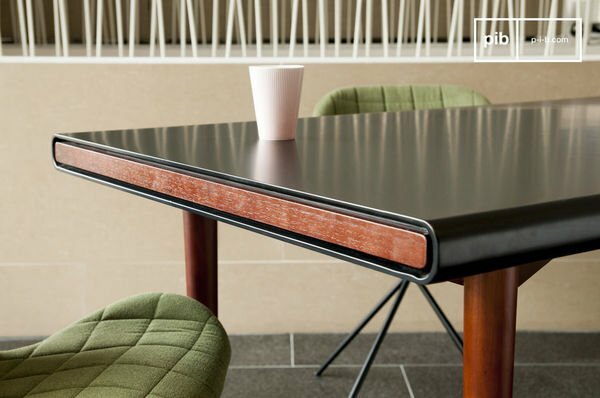 Tables are found almost everywhere, from trains to planes, from waiting rooms to parks. They are even present in our common vocabulary! Here's an example: did you know the word "bankrupt" originated from an Old Italian custom related to a table? See, the ancestors of our modern banks where money dealers who used to work on tables or benches to do their business, and when their money ran out, their table -or sometimes a bench- would be broken by the authorities so that they could no longer do business. Well the Italian words for "broken bench" are "banca rotta", which later merged into French language as "banqueroute" which found its way to English around the beginning of the 16th century. Without keeping into consideration the primitive first tables that might have been made out of a wooden support resting on two stones, some of the first well preserved tables come from Ancient Egypt. Made out of timber poles and specifically designed for supporting water vessels or treasured faience vases, Egyptian tables were quite low but extremely useful and their purpose was exactly the same as our modern tables: to support things and allow an horizontal working space. But getting back to our main subject, and making a time-jump in the process, did you know that during the 40's and 50's the popularity of dining tables was somewhat eclipsed by the advent of retro coffee table? This was carried out, to a lesser extent between 1960 and 1970 as well. It was around the 80's, that the dining table regained its lost prestige, with a decade of formidable consumption where the fact of hosting fashionable dinner parties was a clear status symbol. Indeed, the longer the table, the clearer the message, for it meant that the owner not only had enough space to accommodate a long table and its guests, but that he was used to doing so. Nowadays we have many table variants, going from the small coffee table on our living room to the long dining table and with some very specifically designed tables such as chess tables, poker tables or billiard tables. 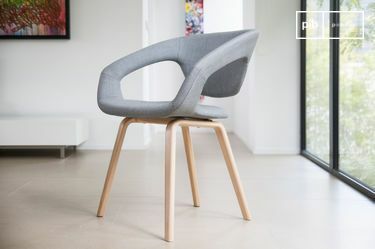 Styles and designs flourishing as our time, necessities and materials evolve. For example, smaller more portable tables were born out of the need to support our laptops and tablets, and yet a beautiful retro dining table are still great allies for those wonderful family reunions or office meetings, are they not? The beautiful aerial design, impeccable finishing touches and pristine lines of our Scandinavian dining table will seduce you and give an elegant touch to your space, indoors and outdoors. But how are the things we have to keep in mind before choosing our perfect table? Well there are quite a few things to consider starting with whether you are looking for an outdoor table or an indoor one, the space of the room you want to furnish and of course the main use that will be given to the table. 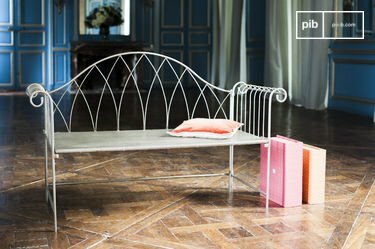 In PIB, we love to give you the best variety of choice when it comes to the scandinavian table so that you can create your very own perfect space. So here is our Scandinavian table selection, with some -hopefully- useful comments to guide your quest. If you are looking for a discrete and space-saving table, you might want to take a peek at our round table selection such as the Starbase round table and its unique base that will contribute to your room decoration, the all-natural walnut-wood Nöten round table or the minimalist Daire table and its enchanting retro look. You'd rather have a more personal working space? We have exactly what you need! 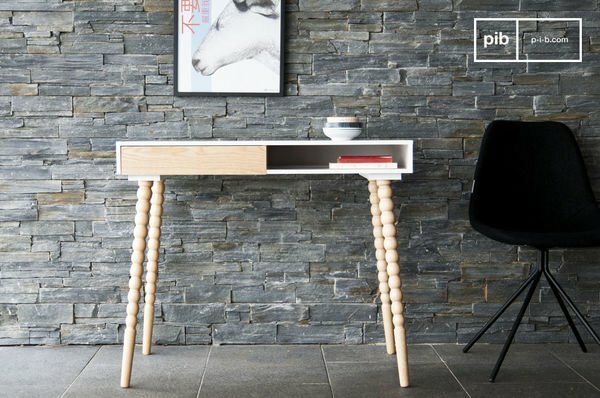 Take a look at the aerial finesse and sobriety of the Môka bureau and its clear wood or at the delicate Katalina scandinavian desk with a drawer, proudly showing its beautifully curved carved legs. For a desk offering some more storage and organizing space, browse through the wonderfully vintage Naröd desk, let yourself be conquered by the pastel-green charm of the Nöten desk with drawers or create your perfect organizing duo by associating the Stockholm desk with its three drawer block chest. If you love having a cup of coffee outdoors and in a small committee, the robust and aerial Dining table Espace is the one you are looking for! For enjoying of a fully retro design in a beautiful 180cm long, contemporary Scandinavian dining table, don't miss the Nordby table or the Fjord wooden table, which inspired from the 1960 Nordic design mixing natural wood and an immaculate white. A more natural touch of clear wooden furniture will be spectacularly provided by the Môka table, the Môka bureau's big sister so to speak, which is also available in a beautiful 2m long version called Large Môka table. Our scandinavian stool are also a great addition to bedrooms or living rooms. What about having one of those magical family reunions? Or perhaps a business meeting in an elegant harmonious space? Take a look at the gorgeous walnut wood Nöten dining table, that is not only inspired by the retro mid-century Scandinavian home design, but is also available in a variety of dimensions to better suiyour needs. To have both the elegant strength of oak wood and the lightness of sober attractive lines all in one amazing 2m long table, you have to see the Augstü table, which will definitively add that Danish style to your interior. Light and refinement, harmony between man-made and nature, let yourself be seduced by the elegant beauty of the Scandinavian design. If you are looking to create the perfect Nordic dining room, you should browse our Scandinavian selection to find the ideal match for your dining table. Looking for a perfect organisation and a minimalistic style? Check out our Tennö scandinavian bookcase and its gorgeous straight lines, or for a more discrete one and some extra storage room, the Fjord light wood scandinavian wardrobe will prove extremely useful, just like our modern scandinavian console table. Light up your room with the beautiful natural touch of a Scandinavian ceiling light, such as the Mümmi pendant light with beautiful white flower-like lampshades or the Rholl wall lamp, which will make you feel like you're in a snowy wooden forest. From the mesmerizing geometry of the Östra lamp, to the jewel-like Ora vintage table lamps made out of golden metal and marble, Danish design will allow you to express your taste and style in every interior. 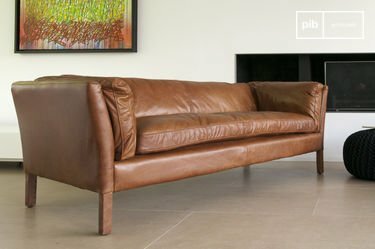 Whether you are looking to create a unique harmonic contrast between different styles, or the perfect Scandinavian ambiance for your home, you will find the perfect match and inspiration by letting yourself wander through out selection in PIB home.